Posted On May 05, 2014 by Team iCynosure. Though Cricket is not our national game, it is by far the most loved and followed game in India. There will hardly be any household in the country that doesn't keep abreast with the ongoing games inspite of the various controversies the game has faced. It is the game that unites people of India wherever they are, whatever they believed in and whenever it is played. But all changed as soon as the Cricket Premier League was annouced as everyone had their own favorite team. For me it became a battle between the heart and the mind. Being a Mumbaikar my mind was all set for Team Mumbai but my heart belonged to none other than Kolkata's Icon Player, India's most prolific, most amazing, most successful Captain Sourav Ganguly. In my battle my heart won against my mind and I became a Team Kolkata cheerleader in an all-Team Mumbai home. The opening match of Cricket Premier League 2008 was what dreams are made of and my love affair with Team Kolkata began. However with the failure in the first season and the disheartening multiple-captain theory robbing my love of the captaincy honors my anger with the team management rose. And then just as I was losing interest, Ganguly was brought back the following year as the team's captain and I basked in his glory. Just as I was gearing up for the fantastic following year, Cricket Premier League dropped a bomb. Team Kolkata gave up their Icon Player Sourav Ganguly and roped in the sensational Gautam Gambhir. I was in two minds of following him into Team Pune the following year or staying committed to Team Kolkata. In all the tussle I realised my love for the team overpowered everything else and I stuck to my team. I cheered and cheered, screaming myself hoarse and losing my voice as well. And guess what I was instantly rewarded with the team reaching the play-offs that year. Just as a champion takes small steps to achieve his dreams, Team Kolkata worked towards the title and in 2012 we were the undisputed Champions of the game. 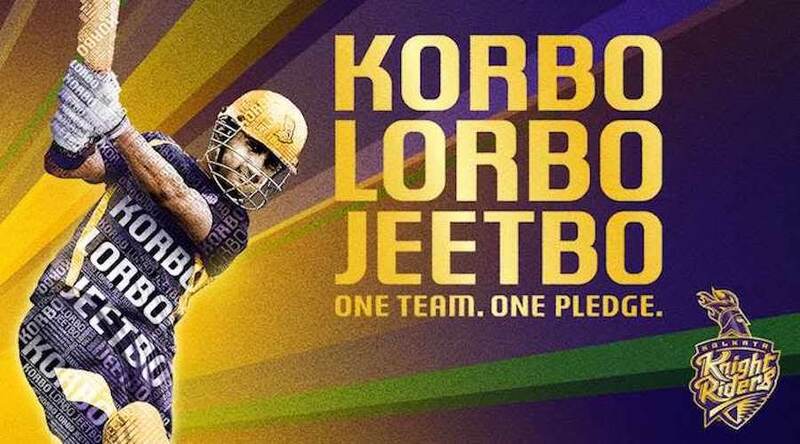 Exuberance, Energy, Enthusiasm and Entertainment are some words that define my team - Team Kolkata, the heartbeat of Cricket Premier League. It is by far the only team that brings thousands of fans together to enjoy a great game, unwind, relax and take a break from the routine of the daily life. Sometimes I wonder how such an amazing group of people, champions in their own right would work together so seamlessly? I got my answer immediately when I saw the team players strike the right balance to hit the perfect notes to create a symphony of a game. Some of the things I like most about my team is that the team doesnt stop trying, never shies away from a challenge and out-performs to deliver a better performance, never giving up. The manner in which the team has dealt with criticism is impeccable and inspiring. Our team is inspired by appreciation, while criticism gives them an added strength to push the boundaries and seal the loop-holes. Though it is easy as fans to be disheartened by criticism and failure, we stand by our team and motivate them with our commitment and patience. We manage to see the shining light through each run we make while stopping each run the opponent takes. We do not win every match we play, but we live various emotions together. Whether it's a smile, a frown, a shock, a roar or even a cheer for us its all priceless. Every year I fight tooth and nail to make sure I don't miss any of the Cricket Premier League Cricketing fun. Sometimes its sick leaves, sometimes its working from home, sometimes its client meetings when all the time it is all Cricket Premier League. But this year, it's gonna be different. This Cricket Season, look no further than your mobile to capture the best Cricket fun via txtWeb's Supercharged Cricket services. Get scores on the go with @cri, catch up on cricketing action with @highlights, enjoy latest cricket news with @crinews, be your own cricket star with @superover and LOL with Navjot Singh Siddhu on @sidhu. To use any of these services just SMS @keyword to 51115. Valid on Airtel, Vodafone, Idea & Tata. Upto Re 1/SMS. So buckle your seat belts and wait for the knights in their shining armour to entrall you all.